Download and read the Press Release as a pdf. 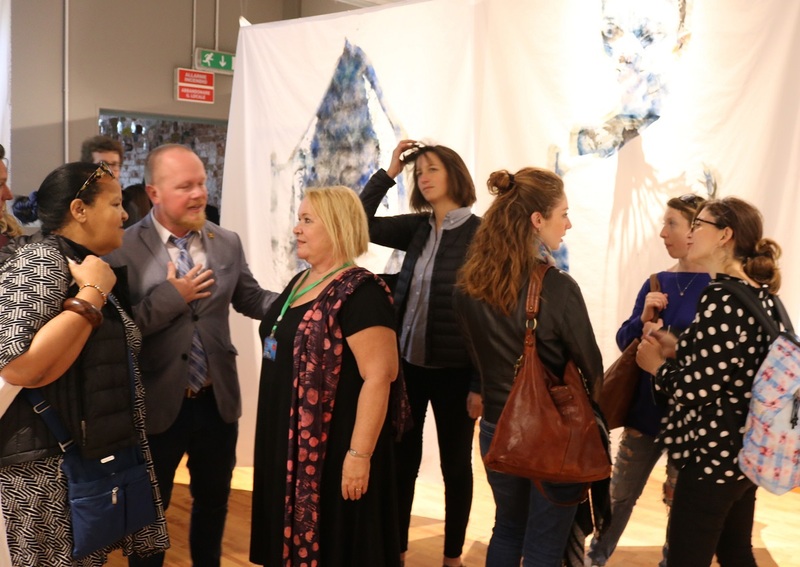 The warmth of the Caribbean spilled out of the Grenada National Pavilion and on to the Fondamente Zattere in Dorsoduro for the opening of “The Bridge”, an exhibition of art. 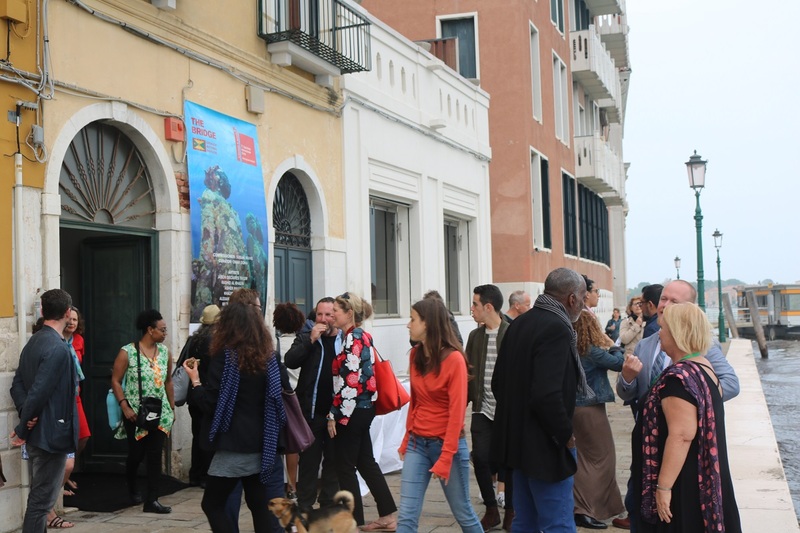 Joining 85 other countries, Grenada’s second appearance in Venice for the 57th International Art Exhibition of La Biennale di Venezia was a significant achievement. 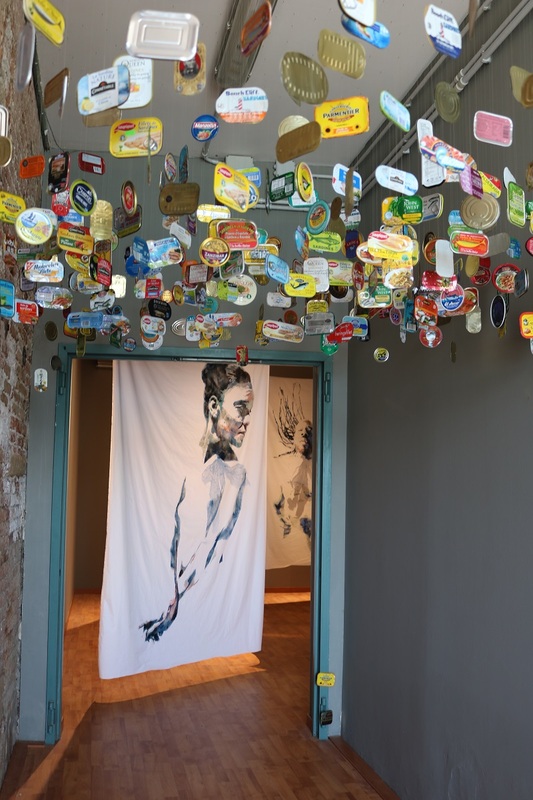 Milton Williams presented his collection of hundreds of sardine and seafood tins in a suspension of gravity and belief. HIs obsessive hoarding of objects from around the world is in actual fact a collection of relationships and exchanges with people. Memory is triggered by the object, and the space becomes a sacred treasury. Asher Mains’ giant figures dominate the first room of the pavilion. 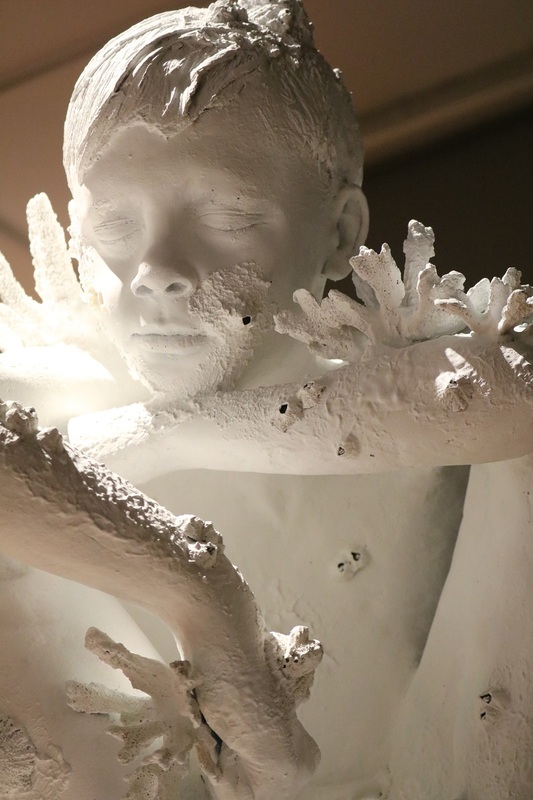 “Sea Lungs” undulates freely, following the current of the crowd as they move through the room. The lungs are the shadows of the sea fans, representing respiration, the life and breath of the reef. Jason DeCaires Taylor provides a window to the underwater world of sea life encouraged by his life size human figures that he installs. 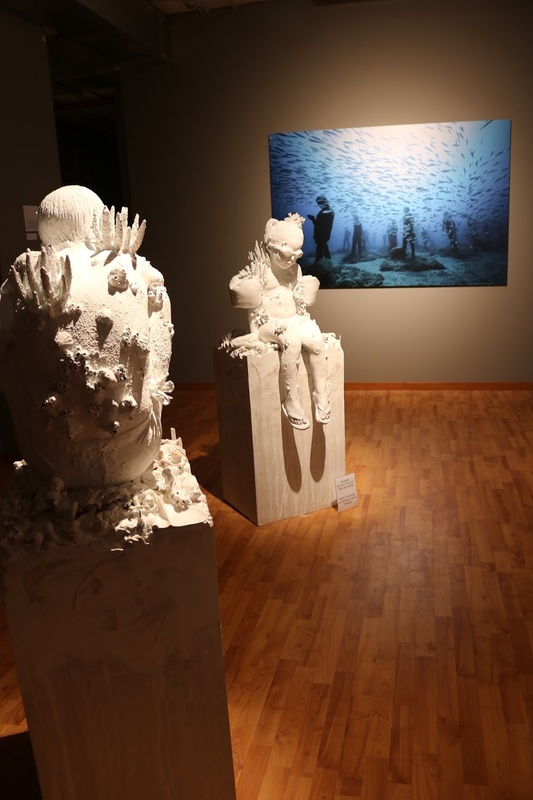 Photographs, video, and the sculpture “Coral Bleaching” document his eleven year art practise and voice his concern during this critical moment in the relationship between man and the environment. More than 300 people joined for the opening. Notable was the lecturers from Barbados Community College and their students, as well as the artists from the British based Diaspora Pavilion. The director of the Barbados Museum, Alissandra Cummins, made an appearance and gave her nod of approval. Commissioner Susan Mains thanked the sponsors and artists for their part in making a very successful vernissage, launching the exhibition that will continue for the next seven months. Both Minister of Tourism the Honourable Clarise Modest Curwin and Minister of Culture The Honourable Brenda Hood have sent their congratulations.